(Milan-Italy 31/05/1981) THE ITALIAN CROONER – Singer, actor, composer, producer but also journalist, Matteo Brancaleoni represents a professional figure of a thousand facets, the best of the living jazz tradition in Italy. 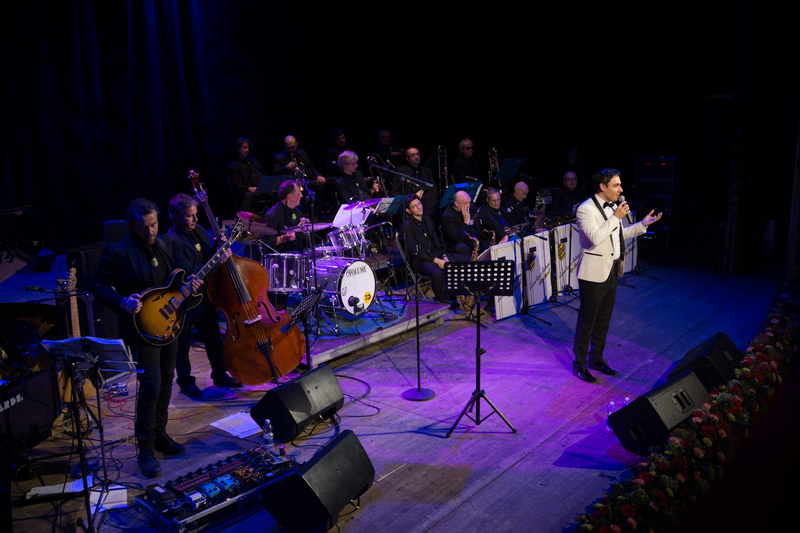 Appreciated and highly regarded by the likes of Renzo Arbore, Maurizio Costanzo, Fiorello and Michael Bublé with whom he duetted live in Rome in 2007 during Michael’s concert, Matteo Brancaleoni is now considered one of the leading Italian interpreters of the American ‘Songbook’. Among the ten best jazz singers in the Italian poll of 2012 voted by the readers of “Jazzit” magazine. His Live Shows at the prestigious “Blue Note” in Milan have produced a staggering 5 Sold Out Nights. Over the years he was fortunate enough to be working, among others, with jazz musicians of the calibre of : Franco Cerri, Renato Sellani, Gianni Basso and Fabrizio Bosso. Often compared to his mentor, Frank Sinatra, Matteo over the years has built an increasingly personal and well defined style. The multi-talented artist, singer, actor, radio presenter and journalist was awarded in 2008 as Best New Talent at the “Elba Jazz Festival”. His debut album “Just Smile” and his second album “Live In Studio” were enthusiastically received by audiences and critics nationally and internationally. His last record was for two weeks, the best selling jazz album on iTunes and for six months his Live performances were listed in the live recommended section by the Apple Store. He sold more than 50 thousand copies in Italy, USA, Canada and Japan.